The Addison is a luxury condominium residence that is situated in a prime beachfront location in Boca Raton, FL. Comprised of two contemporary condo buildings, The Addison consists of 170 luxury condo units, with single units offering up to 2,400 square feet of living space, and double units with 8,000 square feet of living space. The Addison condos also offer semi-private elevators with just two units per floor, providing residents with utmost peace and privacy. Originally built in 1986, the buildings recently underwent major renovations and many of the units have been remodeled and upgraded to include a variety of high-end, modern features. Condos for sale at The Addison typically feature gourmet kitchens with top-of-the-line appliances, custom cabinetry, and granite countertops, as well as wood and marble flooring, large master suites with luxurious bathrooms, and wrap around balconies with panoramic views of the Atlantic Ocean and the beautiful Boca Raton cityscape. 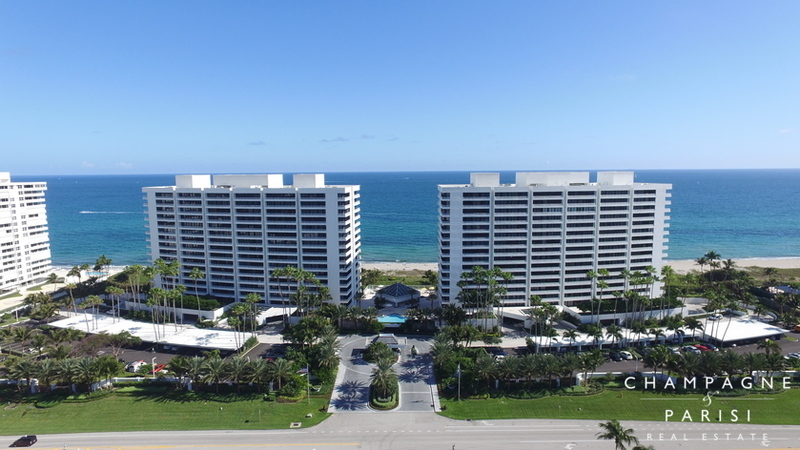 The Addison Condominium is located in the heart of the Boca Raton beachfront on A1A just South of Camino Real. This prime location allows residents to step right out onto the beautiful oceanfront, as well as the convenience of being within close proximity to the area's finest shopping, dining, entertainment, and recreation options. The Addison is the perfect choice for those seeking a luxurious oceanfront retreat that provides a host of exclusive resort-style amenities. If the Addison sounds like the perfect place to call home, you may want to visit similar oceanfront luxury condominium communities in Boca Raton including Whitehall, 3000 South Ocean, Ocean Towers, and Aragon. If you are interested in purchasing an Addison condo for sale or would like to learn more about other luxury condominiums for sale in Boca Raton, FL, please call us at 561-998-9015. You may also reach us by completing the brief online contact form provided below and one of our luxury condominium specialists will reach out to assist you. We at Champagne & Parisi Real Estate look forward to helping you make your dream of living in a luxury oceanfront condo in Boca Raton a reality!